There are times when you have to resize MP4 files, maybe because they are too large for internet uploads. 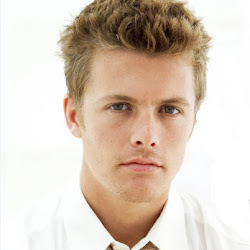 Another reason could be that you have HD MP4 videos which are not suited for media devices with small screen. Keep reading if you need help to complete this task. If you want a reliable and powerful tool to resize your MP4 files, Aimersoft Video Editor is the ideal choice. 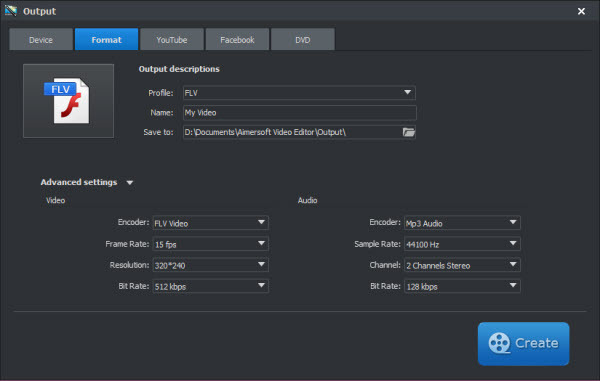 With this tool, you can change the size of your videos whilst maintaining high visual quality. Besides serving as an MP4 resizer, this editing tool will allow you to edit videos in many other formats such as AVI, MKV, WMV, FLV, MOV, MTS, M4V, ASF, VOB, and more. You can also add photos to make fantastic slideshows with motions, transitions, background music, amongst other things. Below is the details about resizing MP4 video in Windows. The steps for finishing the task in Mac are nearly the same. 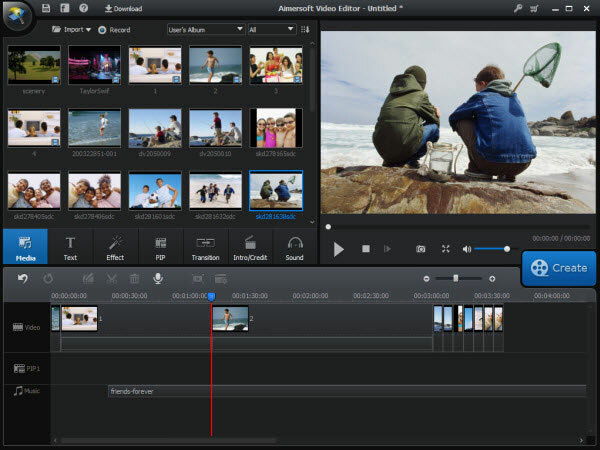 If you are a Mac user, please download Video Editor for Mac first. 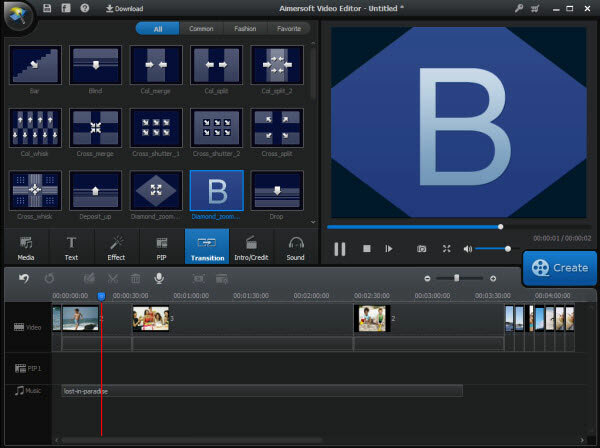 Start by adding the files to the video editor after it’s launched successfully on your computer. The files can be added via the Import button or directly to the Media zone after dragging them unto the program. Once you add the desired files, you will see all the media clips displayed with thumbnails. Next, you have to drag and then drop the media files unto the Timeline panel to start the editing process. This tool allows video editing to be done in many ways as it provides some rich features that will help you to create great looking movies. Now, once you have the files in the Timeline panel you are free to resize them in any way. If you want, you could do some other basic editing such as copying, pasting, deleting, cutting, cropping, trimming, splitting, removing audio and much more. It will only take a few clicks for you to complete these tasks. Besides that, double clicking on the video clip inside the Timeline will give you access to the editing area where you can set the brightness, contrast, speed and other features of the video. All of these editing results can be seen in real-time so you are able to see if everything is set exactly as you want. When you are ready to resize MP4 file, you just have to click the Create button and then the Format tab inside the pop-up window. Choose MP4 for the output format. There is an Advanced Settings tab that you can click to see other options such as video resolution, bit rate, frame rate, and so on. As a final tip its worth mentioning that video files with lower resolution, bit rate or frame rate will have smaller size. This means that you can just choose the smaller options for these to resize your MP4 videos to smaller size.